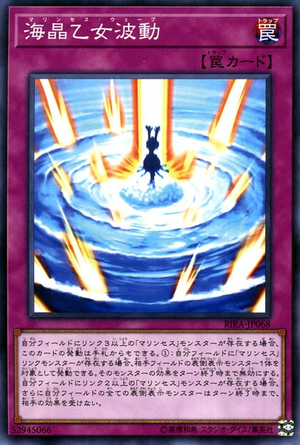 If you control a "Marincess" Link Monster: Target 1 face-up monster your opponent controls; negate its effects (until the end of this turn), then, if you control a Link-2 or higher "Marincess" monster, all face-up monsters you currently control are unaffected by your opponent's card effects until the end of this turn. If you control a Link-3 or higher "Marincess" monster, you can activate this card from your hand. This page was last edited on 13 April 2019, at 12:30.